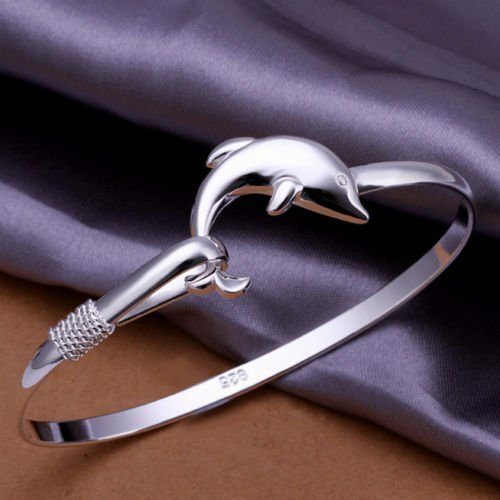 Dolphin Bangle Bracelet Just $1.65! Ships FREE! You are here: Home / Great Deals / Amazon Deals / Dolphin Bangle Bracelet Just $1.65! Ships FREE! Love the ocean and all it has to offer us? Show your wild at heart spirit by wearing this Dolphin Bangle Bracelet Just $1.65! Ships FREE! This is sterling silver plated fashion accessory is great for women of all ages!